You’re watching the day begin from your bed. The sky has gradually turned from black to gray to purple to blue. The river below you rushes over fallen branches. It ripples as lake salmon jump out of the water to catch their buggy breakfast. An owl’s hoo hooing was replaced by egrets gurgling and a sandpiper singing as the sky brightened. While rustling in the trees could be another bird, a bushbuck, or even a warthog. You’re just enjoying the sounds of nature waking up. Until the splashing and the trumpeting start. Those two sounds can only mean one thing: elephants. You pull back the covers, jump out of bed, and race to the edge of your wooden deck. Three adults, probably females, are standing in the shallow water. A young calf, who can’t be more than a few months old, looks at them hesitantly from the riverbank. They splash him—and each other—until he finally joins them in the water. You stand silent and as still as possible to watch the majestic creatures. Breakfast can wait. This is your last morning at the Tongole Wilderness Lodge. Every other morning, you were up early for a quick breakfast before your first adventure of the day began. It’s the best time of day to go bird watching, animal tracking, canoeing, and fly fishing. You saw plenty of animals—including kingfishers, buffalo, and even some distant elephants—along the way. Though exciting, your encounters were nothing like this. 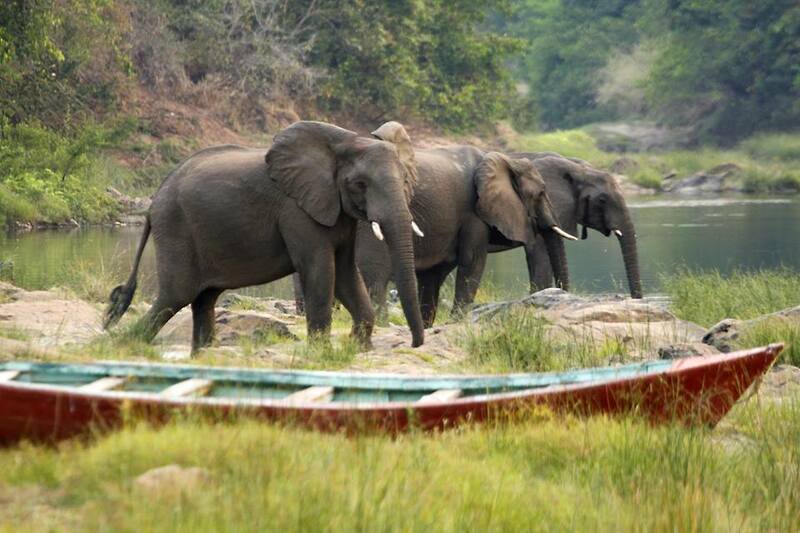 The Tongole Wilderness Lodge is in the Nkhotakota Wilderness Reserve. Though it’s Malawi’s largest and oldest national park, the area was never well protected. Poachers stripped the reserve of everything they could. At least until 2015. That’s when African Parks, a nonprofit organization, began managing the reserve. They’ve invested millions of dollars, reintroduced hundreds of elephants, and turned the park into a place people want to visit. It’s a major step for Malawi, a small, landlocked country in East Africa. 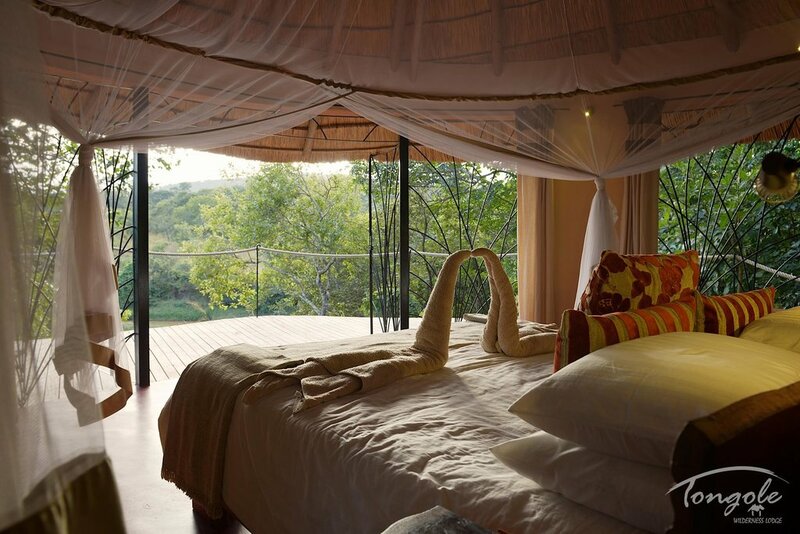 You couldn’t have been more comfortable at the Tongole Wilderness Lodge. The little lodge sits along the Bua River in between the Great Rift Valley and Lake Malawi. With only four suites and one family cottage, it offers personalized service and small group outings. The riverside buildings, made of local materials, are stunning. Each has only three walls and opens to wide decks and river views. Your suite even has a sunken bathtub, which you use as a plunge pool as the sun sets. While evenings end with four-course dinners on the Kachenga deck. But nothing tops the elephants. You watch the foursome until they move out of sight. Then you quickly get dressed and leave for breakfast. From the main deck, you see them again. They’re crashing through the water, snorting and grunting as they go, to reach the other side of the river. The calf, once so tentative, is now squirting water from his small trunk as he goes. Saying goodbye to the lodge and the reserve just got a whole lot harder.